Thursday, April 4th was an exciting day at Westside Elementary. Not only was it Hat Day, participating in a spirit week for Autism Awareness month, it was also a day for a visit from PHS High School students. 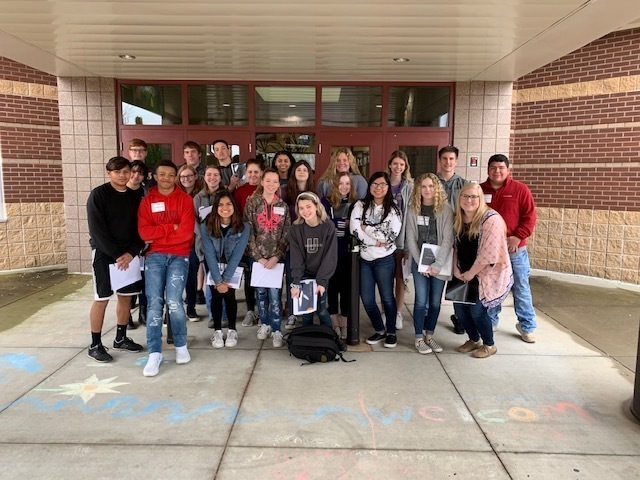 PHS Students in Mrs. James' Creative Writing class wrote children's books and then read them to 2nd and 5th-grade students at Westside Elementary. "I wanted my students to learn all types of writing and I wanted them to realize that novels and long stories aren’t the only types of writing. I told them to think back to books they really enjoyed and start with those feelings." - Mrs. James. The Creative Writing class talked about how children’s books have morals and themes or they teach the reader something. The class also talked about the imagination you have to have when writing about characters other than humans. They studied many genres throughout the semester and was told to select from the genres studied for their book topic. Westside students clapped as the PHS readers finished their original stories and excitedly changed tables to hear another book by another author. "They were all so excited it was cool." One student from Mrs. James class said. "This is a great way to celebrate their books and share a love for writing with our students. " -Ann Lee, Principal at Westside Elementary. 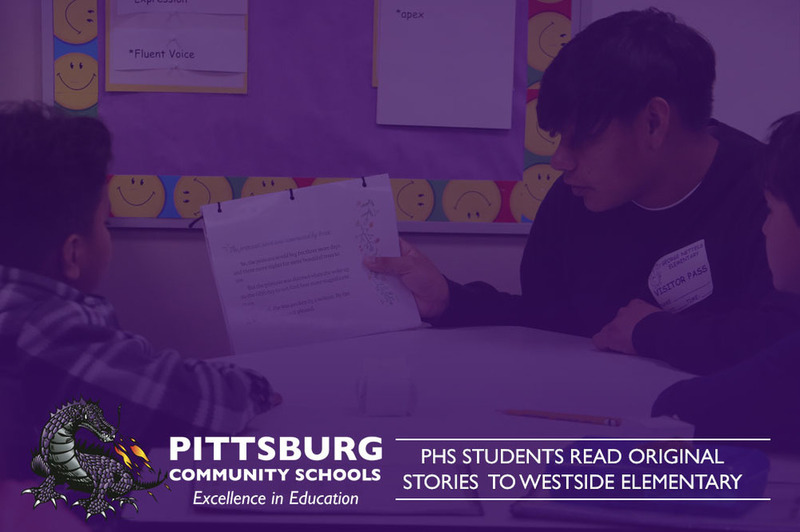 Students heard stories in four different Westside classrooms; Second-grade classes Mrs. Trowbridge and Mrs. Knoblock, and 5th grade Mrs. Anderson and Mrs. Prince. After sharing their books with the class PHS Students joined the 5th-grade for lunch. Mrs. James' class had a full day. They also read at Lakeside, Meadowlark, and George Nettles Elementary.